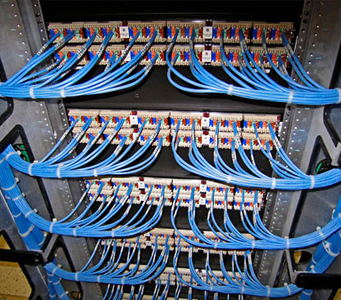 Cyber Knight Computers specializes in professional installation of CAT 5E, CAT 6, fiber optic and coax cables. We also service and repair damaged network lines. Our qualified technicians are proficient in the building and installation of servers and workstations, and diagnostics and repairs of existing networks for professional use. For more intricate networks associated with businesses, we can set up your routers, backup solutions and firewalls as well. Our professional technicians use state of the art tools to diagnose both software and hardware issues within your network or business computers. We are able to locate problems and provide either in-store or on-site repairs to get your device working properly. Our team is equipped to repair both hardware and software problems on-site at your business or you can bring your device to us to experience our quick turnarounds and our proprietary repair process on in-store repairs! If you chose on-site repair, we will bring all of the necessary tools and skills to you, eliminating the need to unplug everything from your computer. Cyber Knight Computers services all types of computers including Apple, Lenovo, Asus, Dell, Toshiba, HP and Gateway. We specialize in website for small and medium businesses, as well as individual portfolios. We provide guaranteed competitive pricing, and an explanation of every detail of how your website operates. Our comprehensive website packages make include every small detail to make web design affordable for everyone.